April’s Glymm box had a sample of Free Your Mane Shampoo and Detangling Conditioner. Each sample was 14ml. Enough for one use. 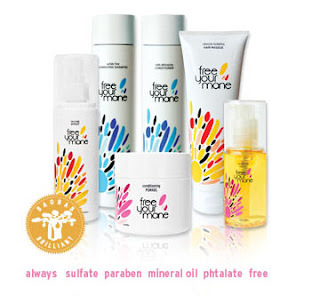 Free Your Mane are paraben and sufate free products that contain Baobab Oil™ from Africa, ultra-moisturizing Argan Oil from Morocco, anti-oxidant rich Pomegranate Seed Oil and Sweet Almond Oil. Free Your Mane products hydrate, nourish and repair for unmatched performance, softness and shine! It is hair products for the modern multi-ethnic. Initially created to help moisturize and tame coarse and curly hair. I have coloured, fine, naturally curly hair. It’s usually always dry and frizzy. 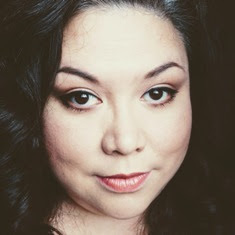 After one use of Free Your Mane it was silky, smooth and the curls actually bounced. I was seriously impressed by this duo. My thoughts? I love that for a sulfate free shampoo, it lathered quite well. It left my hair clean of all styling product residue but not feeling stripped. At first I thought the conditioner wasn’t going to be enough to ‘condition’ my hair properly but it was enough. I usually put the conditioner through my hair, detangle with my fingers. I let it sit for about 3-4 minutes. Afterwards my hair felt amazingly soft, shiny and hydrated. The drawbacks for me were the smell and availability. The smell reminded me of men’s cologne or maybe more like incense. Very strong and lingering. The price is $16 USD on the Free Your Mane website or $19.99 CDN at Glymm.com ($36 if you buy the shampoo and conditioner together). Canadians would need to order online - some select store do sell it but it is not widely available yet. Could I get past the smell? I did after a couple of hours but do I want a shampoo that I am not fond of the smell? For the way it hydrates my hair – I am leaning towards yeah. I say Glymm girls, if you got dry, frizzy, curly/wavy hair, then give this sample a go. You will like the results. The scent? Maybe. I checked the website and this is the only scent they have at the moment. If they come out with a scent free version, I am all over it! Has anyone else tried it yet? Am I the only one with scent issues? I mean I am impressed with the results just not the smell. It does what it says. My hair felt so good after. I hope you enjoy it! It is good stuff :) I am debating whether to use my Glymm points on it.I am still stuck on the scent. LOL Should I or shouldn't I??? Glymm actually has Free You Mane listed for $19.99 individually so I would get the set to save money. I am glad someone else thought the same thing!